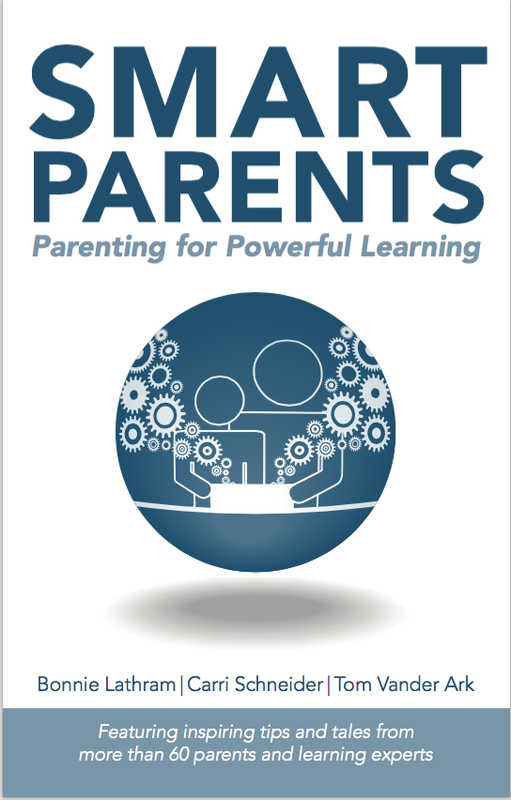 What an honor it is to be a contributor to the new book, Smart Parents; Parenting for Powerful Learning by Bonnie Lathram, Carri Schneider and Tom Vander Ark. Packed with helpful guidance from more than 60 parents who are also experts in learning and/or education, this book will support Moms and Dads who recognize learning as core to their purpose. Preparing a child for success means that parents embrace their roles as models, coaches and educational partners. Our knowledge economy of today and the future will require individuals to be creative and critical problem solvers, empathetic and kind collaborators, socially aware and well-practiced with making responsible decisions. This book prepares parents for powerful and significant contributions to our children’s learning. What an ideal way to begin the school year by advancing parents’ understanding of how they can best support their children’s development. Here’s the link to read more about it and learn what others are saying. And here’s the link to get your own copy!